Home » Software Development » Follow-up On UK Company That Was Seeking Local Developers Earlier This Year- They Want More! Follow-up On UK Company That Was Seeking Local Developers Earlier This Year- They Want More! 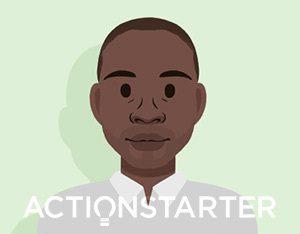 An 8 months check-in with Action Starter after their recruitment drive here on Techzim Earlier this year! So we shared opportunities for local developers to outsource their skills to companies in Europe a few times earlier this year. One of those companies is a UK based company called Action Starter which was founded by a Zimbabwean, Simon Kaguramamba. We have caught up with him and he has great feedback. 8 months ago, I shared a very personal story about my journey of a piece of software that I had written whilst I was living in Zimbabwe. It went from a small project I was coding on the side to a solution that now serves customers in over 45 countries around the world. I also mentioned at the time that we were on the look out to recruit some PHP developers to join the team. What I didn’t mention was that at the time of doing this, I was operating under the mandate from my company’s board to treat this as a ‘convert trial’ to see if Zimbabwe actually had world class developers who had the right dev skills, communication skills and are reliable and dependable. Personally I believed this to be true. Bare in mind the company’s board had already set its sights on recruiting additional dev support in Malaysia where we have some contracts in the region and I had once shot to prove my hunch to be right, that Zimbabwean developers were simply unpolished diamonds ready to shine and show the world what they could do. Today I’m here to give you a quick update of how the last 5-6 months have played on our journey to recruit software developers in Zimbabwe. To keep things short I’ll just give you a quick timeline of what happened. In April we opened up the recruitment window and received over 40 applications, we selected 7 for interviews and whittled them down to 4 who eventually joined the team. So 5-6 months on, how have they turned out to be? I also thought it would be great to showcase the individual stories of the four individuals who joined our team in June, so I asked them each to complete a short profile showcasing what they were doing before, what they are doing now and what they look forward to doing next. I hope their stories will inspire you to reach for the stars, and show you that when you put your thoughts into action, change can take place. Did you get professional coding training or are you mostly self taught? I would say both, however to a greater extent self-taught. Briefly describe what you were doing before you joined Action Starter I was working at a local mobile phone distributor that also develops mobile applications and web systems to aid in the sales and after sales processes. I worked there primarily as a PHP Backend Developer. What excited you about the role and the opportunity? The job description appeared to talk to me directly and was a perfect fit for my skill-set and areas of interest. How did you overcome these concerns I would say the standard of communication and the interest the organisation showed in me during the recruitment process helped me to clear up these concerns. How did it feel getting the offer? It felt like the beginning of something great. (I was eagerly waiting for my first day at work). Share a few words about your first week at Acton Starter I enjoyed every single day of that week (as I still do to this date). I felt very much wanted and part of something good. And was ready to hit the ground. What has been the highlight of working at Action Starter? -The ability to own your work and express yourself in whatever you do. -The gratitude that everyone expresses even when you would have done something you were supposed to. Can you share 1 or 2 personal goals you have achieved since joining the company -Managed to obtain my driving Learner’s Licence and working towards my full driver’s licence. Do you feel you can achieve your personal goals whilst working for Action Starter I believe so, the few months that have passed have been an indication to this effect. 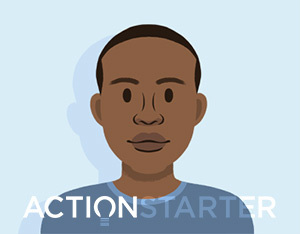 What tips would you have for anyone looking to join Action Starter? Communication (accurate and timely) is a key element of the organisation. Endeavor to always inform and stay informed, ask questions and enjoy what you do. Briefly describe what you were doing before you joined Action Starter I was a free-lance web developer developing websites and web-based systems. could work for a UK firm remotely and gain experience from a first world company while in Zimbabwe. How did it feel getting the offer? It felt great to be offered the job because here in Zimbabwe its rare to find companies that are willing to work with your needs as an employee. By getting a part time employment, it made me feel valued as a person and an employee. It showed me that Action Starter does not like to oppress its employees. 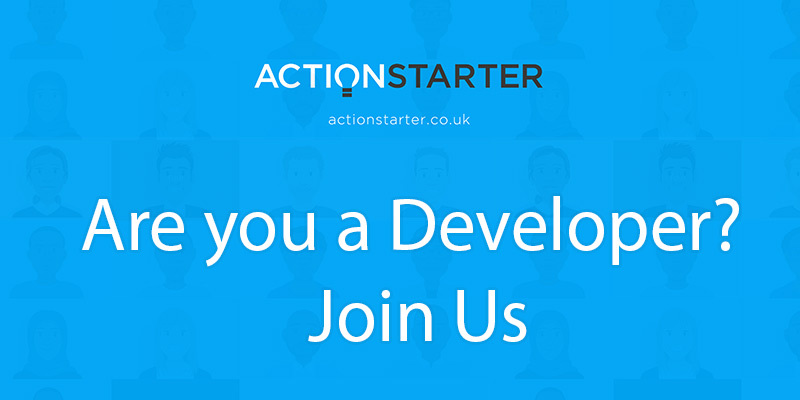 Share a few words about your first week at Acton Starter My first week was exciting because I had now joined a team of developers. The Action Starter team was very helpful in induction. I was made to feel that I had a support team to help me do my job efficiently. What has been the highlight of working at Action Starter? My bosses are professional and they have realistic goals for me. This has resulted in me reaching my projects’ deadlines. This has brought me job satisfaction at the end of each day and I feel motivated to come to work the following day. Can you share 1 or 2 personal goals you have you achieved since joining the company 1 of my goals was to travel to Mozambique and I managed to do that in September. Share one project you have enjoyed working on since joining the Action Starter and what level of involvement you have had on it. I have enjoyed working with third-party APIs to link them with our system and have enjoyed seeing all the pieces coming together. My work is part of a bigger picture and that’s a marvel to be part of. Do you feel you can achieve your personal goals whilst working for Action Starter Definitely Yes because Action Starter does not encroach on my personal time. What tips would you have for anyone looking to join Action Starter? Action Starter is considerate of its employees and very professional. Its a company that is willing to even share its success with its employees. Come and join and see for yourself. Can you share 1 or 2 personal goals you have you achieved since joining the company I bought my dream car!!! 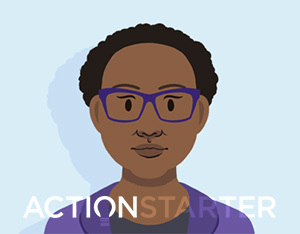 What tips would you have for anyone looking to join Action Starter? When in doubt ask for help.